Minutes of the December meeting were not sent out by errant minute secretary and agreed, except that Martin Quarton was not at the October meeting. 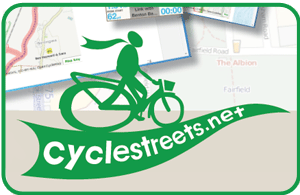 Meeting Jan 18th Jan for new sports centre and velodrome, TR been invited, DC going with Sustrans. Notification of closure from Steve Gaskin of Riverside path from Raynesway to turning to Elvaston Castle, diversion been proposed. Queensway and University who now claim that 106 money has been spent on improving other links especially buses. Meeting with Matt Holmes. Positive as he does get it. Not willing to change priorities re LTP but acknowledged the role of cycling, he is a cyclist. Asset management top priority. Cycle Derby now been mainstreamed into core funding. West Chellaston development, keen to link the paths. Station forecourt, unaware of issues that might delay. TR to contact Andy Smart, Tony Gascoigne and Matt Holmes about the confusion over time lines and to clarify. One way streets and 20 mph zones broadly in favour. London Road new bridge funding approved. Rip out replace, foot and cycle bridge in place during construction. Looking to include cycle provision in new bridge. The old footbridge can be reused but where? Mailshot news letter with renewal notice. VJ newsletter, TR to create members letter via mail merge, Printing newsletter getting quotes and it done ID to coordinate, membership cards, MA to do overall coordination, then we need meeting for us all to meet March 20th to do the stuffing here at Brunswick 7:30pm. January newsletter 2012 need 50 copies printed and putting in envelopes, DC to print, Les to hand write the addresses on the envelopes. Simon Geller coming to next meeting to speak about Cyclenation or to attend at the next EMCF. EMCF: publicity to be done by all. Date of next meeting: Feb 7th Tuesday 2012. The Brunswick.